FOCUSFactor - How well does this product work? FOCUSFactor – How well does this product work? As people grow older, they begin to experience memory loss, difficulty in thinking and lack in focus. Many of which decide to look for remedies to combat these challenges and take the holistic approach to see if they can do so without the use of pharmaceuticals. We respect this decision and want to make life easier for those who are trying to chose the right supplement. Our reviews will guide you as to which product does what and help you pick the one that is right for you! FOCUSFactor contains a variety of natural extracts to enhance the activities of the brain and allow individuals to think with clarity and remove any mental distractions.This brain enhancement uses many ingredients such as omega-3 oils, vitamins and minerals that assist the brain and its functions. These substances are absorbed into the blood to be transported to the brain where they provide nourishment.Also categorized as a dietary supplement, this product will enrich the brain and enable increased focus, memory, mental focus, thoughts, information retention and concentration levels. Like the rest of the body, the brain also needs nutrients to perform its functions. This product is made from almost all available ingredients found in and around the heart.The full list of ingredients are as follows: Vitamins A, C, D, E, B6, B12, folic acid, biotin, riboflavin, niacin, iodine, magnesium, calcium, iron, zinc, selenium, chromium, molybdenum, copper, manganese, potassium, proprietary formula including: glutamine, phosphatidylserine, L-pyroglutamic acid, N-acetyltyrosine, choline, bilberry fruit standardized extract, gamma-aminobutyric acid, grape seed extract, grape skin extract and vanadium.If we look at some of the individual benefits and purposes of these substances then we can understand how they help the functionality of this supplement.Choline is a molecule responsible for the communication of the nervous system. 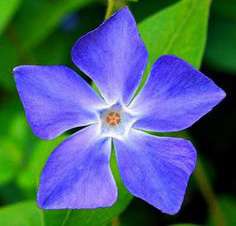 Research suggests that extra choline in the body could improve memory.Vinpocetine is an extract from the Periwinkle plant and can protect you from neural damage.Dimethylethanolamine, (DMAE), is a compound used to treat depression and helps to improve learning capabilities.L-glutamine is an amino acid associated with supplementing the body with more glutamate for neurotransmissions.Docosahexaenoic acid, (DHA), is a type of Omega 3 fatty acid which can help reduce memory loss.This brain enhancement product can be taken quickly and easily without any complications. However, this supplement alone will not help you have greater memory retention. You will need to incorporate brain exercises to sharpen your mind and improve your memory. This product is sold in bottles containing 150 tablets. Some online retailers may offer this product for free for trial purposes. However, for this supply via Amazon is $20.86 and you must take four tablets in one serving. The best and most effective supplements for the purpose of helping the brain is, in fact, Brain Gain or Optimal Omega. Each are the leading brand of today’s market and will only set you back $19.95 for a one month supply.